Australian Catholic Religious Against Trafficking in Humans is running a nation-wide campaign in several languages to alert workers to action they can take if they are being seriously exploited at work. Source: ACRATH. 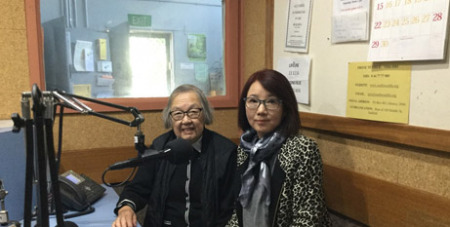 The Radio and Print Project is focusing on the Chinese, Korean, and Vietnamese communities to support people who may not know what services are available to them if they are being exploited. Community service announcements in the three languages have been provided to radio stations, including community radio, and information has also been disseminated to the print media. ACRATH’s executive officer Christine Carolan said the campaign offered support to people who speak little English and who are being forced to work in seriously exploitative conditions. She said the announcements alerted people to employment situations that are against the law in Australia and encouraged victims to seek help. The announcements and print material provide a phone number for the Australian Federal Police and also offer people free legal assistance from Anti-Slavery Australia. “We know that there are people in Australia who are working under harsh and unjust conditions, who may have come here thinking they were going to be employed fairly, but who end up being paid very little money or end up owing their employer a bond that they never knew about,” Ms Carolan said. Some indicators that a person is suffering serious exploitation include that the worker is being: forced to do the work, threatened or hurt at work, not being allowed to leave the workplace, working long hours with few days off, and documents are being withheld by the boss. “Some people arrive in Australia to do construction work or to work on a farm only to discover they are paid a few dollars a day and have to pay most of it in accommodation. They are trapped and in many cases don’t even know there is help,” Ms Carolan said.